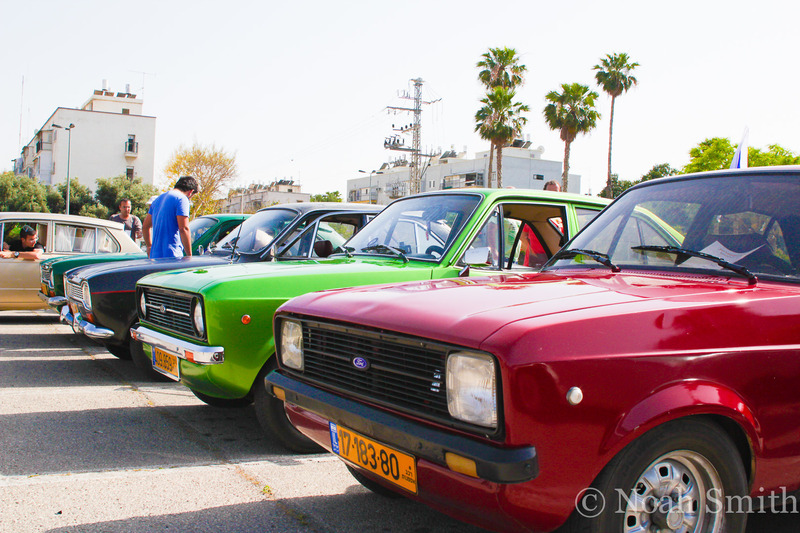 A Car Show in Tel Aviv. 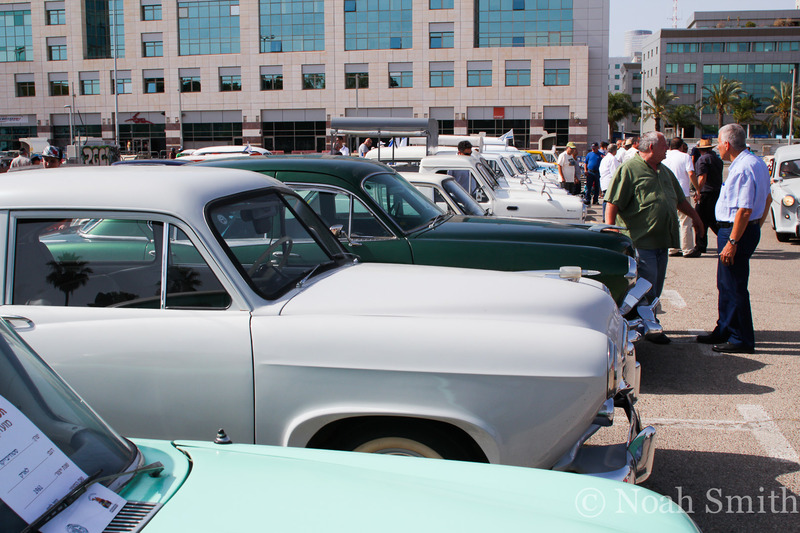 In the shadow of Nokia Arena, home of 5-time European basketball champion Maccabi Tel Aviv, dozens of vintage American, European, Asian, and Israeli cars were put on display to commemorate the little-known Israeli car industry. 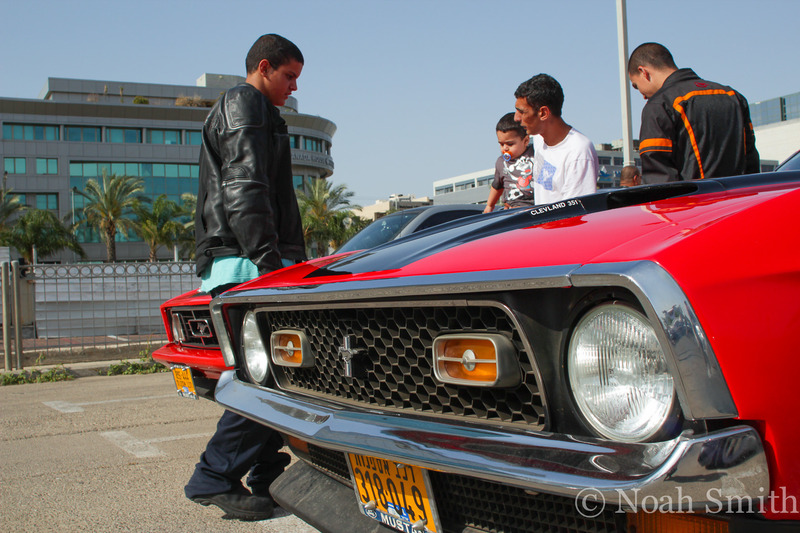 Despite a lack of publicity, hundreds of local admirers, and people looking for an excuse to grab a beer with friends, turned up and showed how a love of cars can transcend time, borders, and extremely high tariffs. 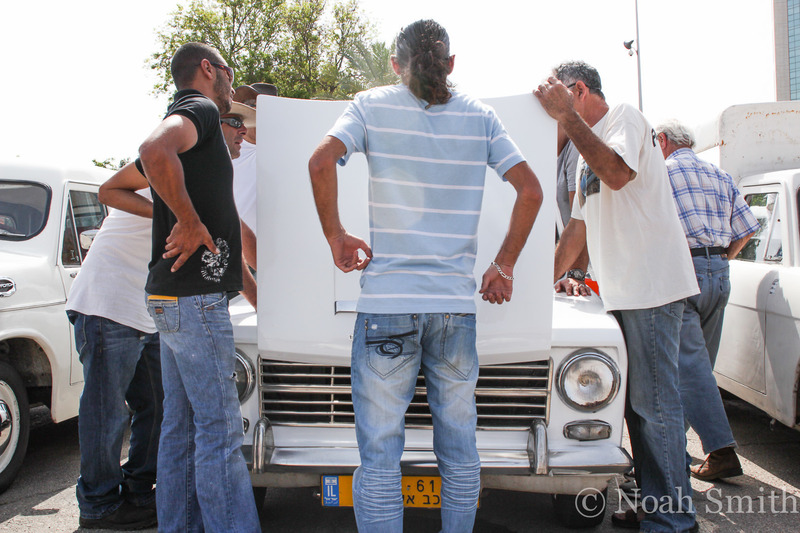 Looking under the hood of an Israeli-manufactured "Susita" sedan. 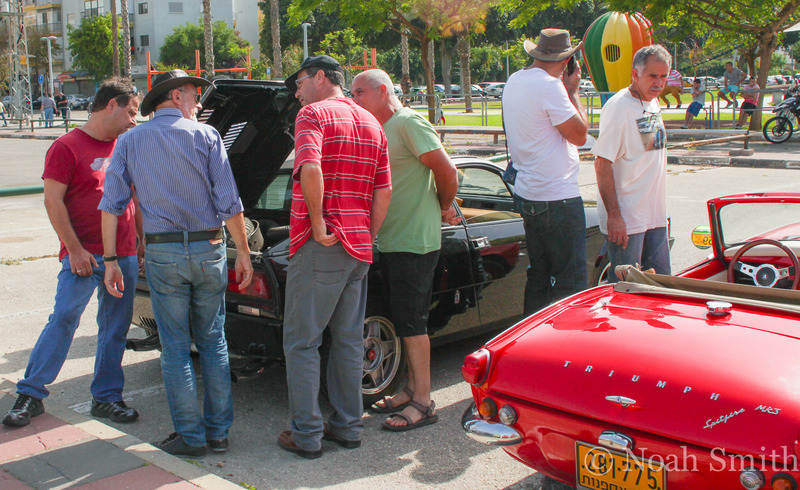 A Triumph Spitfire MK3 and group of men in discussion. 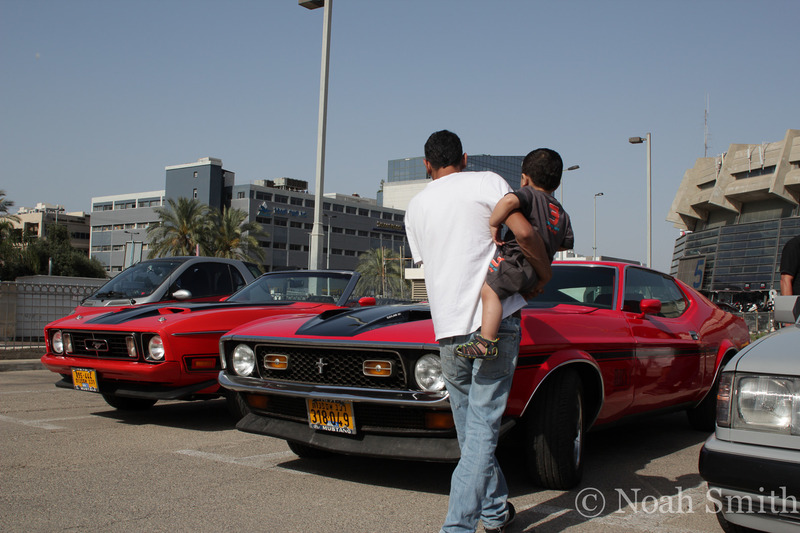 A dad brought his son to check out some Ford Mustangs. 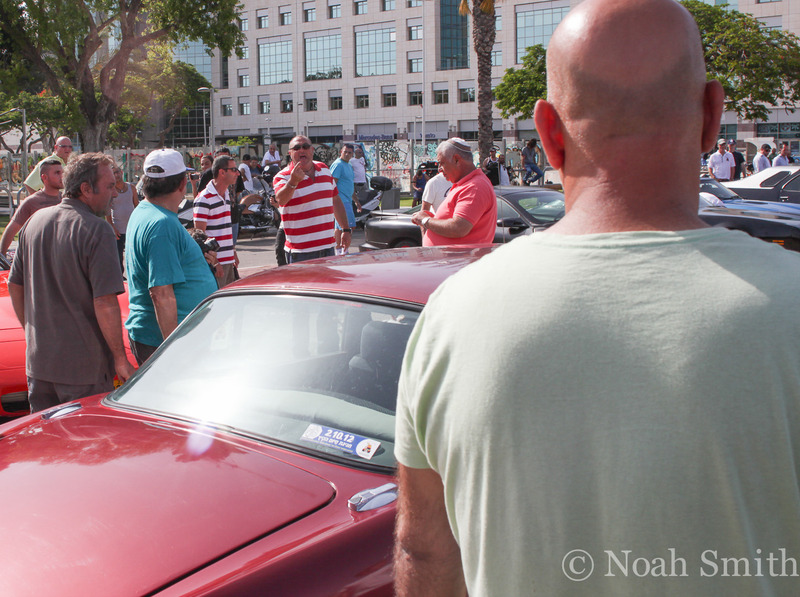 Two men argue about the parking situation. 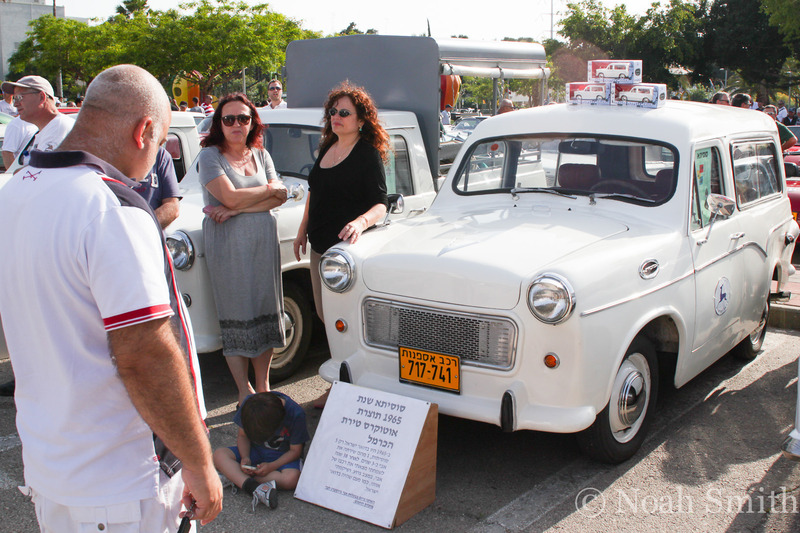 A Studebaker, A Lark, some Kaisers, and some Israeli-made cars, produced from the 50s until the early 80s. 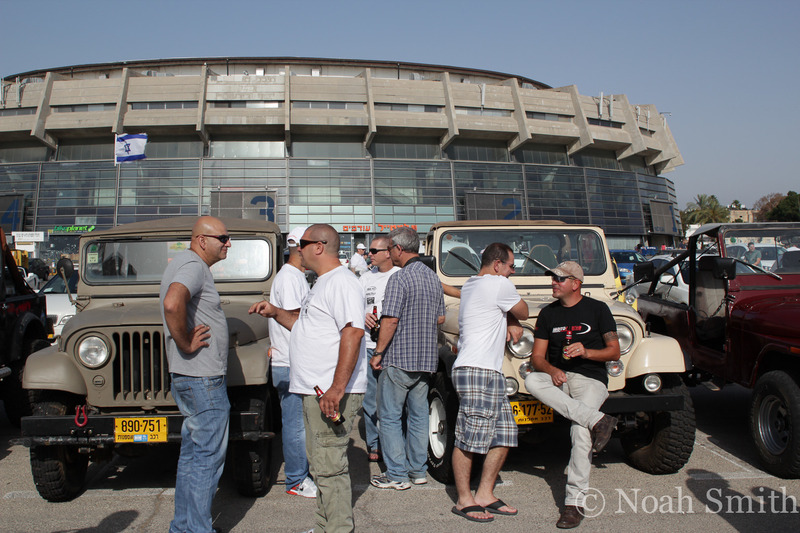 Jeeps, beers, friends, and sun in the stadium parking lot. 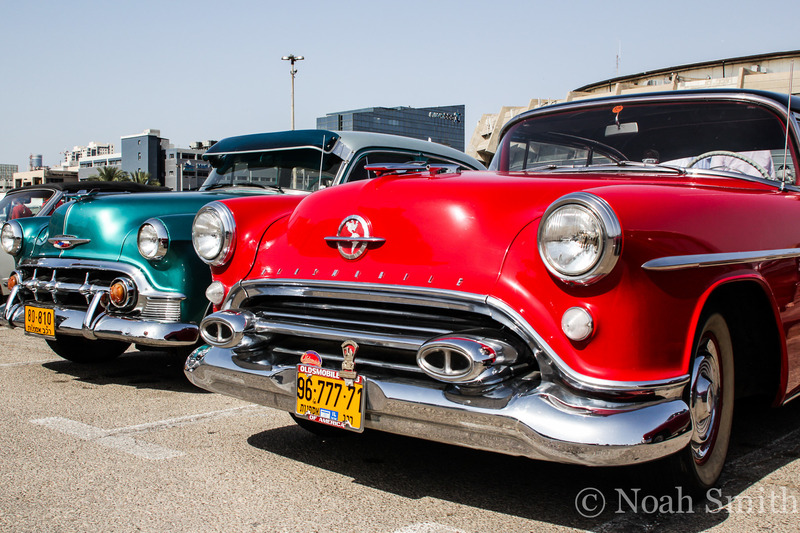 A 50s-era Cadillac sits next to its contemporary Oldsmobile model. 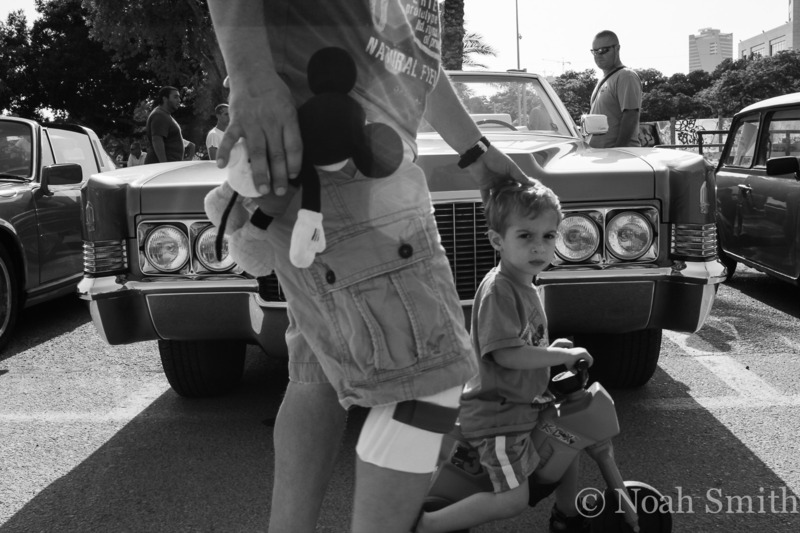 A boy plays on a smartphone in front of an Israeli-made 1965 Susita sedan.